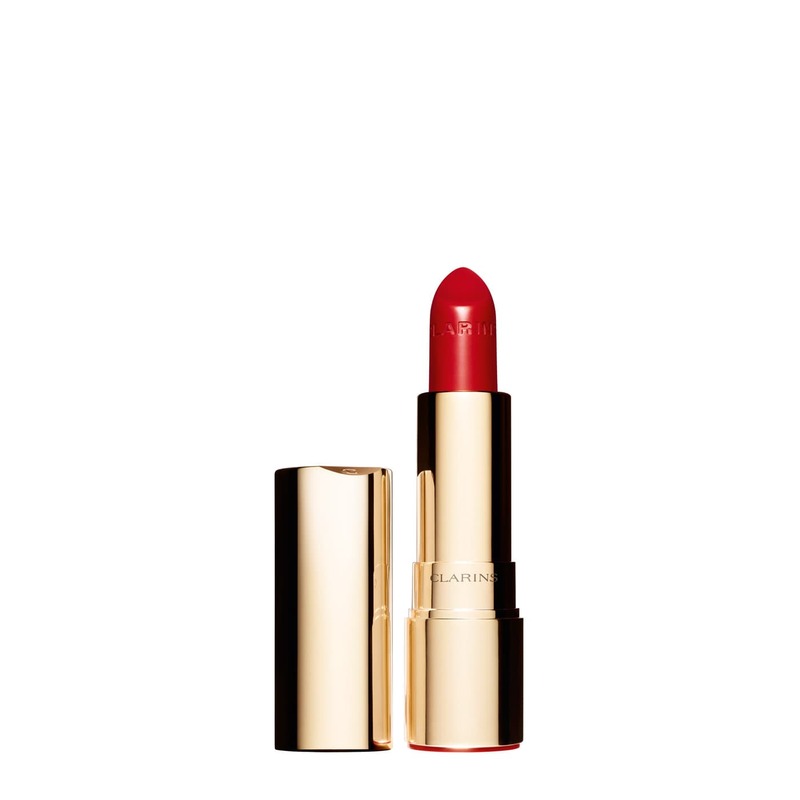 Creamy moisturizing lipstick that delivers intense, long-wearing color, in a satin finish. **Effectiveness test on wear - 31 women. Rated 5 out of 5 by CynHe from Wonderful array of colors, pink cranberry is my favorite. I so much enjoy the shinny effect and can’t wait to try the new matte pink cranberry color. Long lasting and beautiful gold - plated tube. Rated 5 out of 5 by oceansacred from Great smooth lipstick This lipstick does not stick to one's teeth, nor bleed. I love the faint scent, and how it feels. I do recommend matching at a Clarins counter in a department store. I never would have expected lichee to look so great on me. Lasts awhile, not all day. Rated 5 out of 5 by loveouroceans from Smooth, pretty I got the dark red, it is very pretty yet rather formal. I wish I had gotten Joli Rouge as it is a lighter red for every day, it will be next. Smooth, nice scent, good coverage, and it doesn't seem to bleed as much as others have. Rated 5 out of 5 by JustVIsiting from Ordered Wrong Type "Lipsticks" So Colors Too Dark I bought two Joli Rouge Lipsticks thinking I was buying the Joli Rouge "Brilliant" Lipstick, which is described as "sheer" vs "intense colour" -the description of Jolie Rouge Lipstick. So I'm obviously let down by the lack of shine and fuller coverage. So the lipstick is not shiny but it feels smooth and light on my lips, and the fruity/grape(?) fragrance is exceptional! Colors 742 Jolie Rouge and 744 Soft Plum are not for me. 742 Jolie Rouge is bright! 744 Soft Plum is too dark for me. The fragrance and feel of the lipstick are good enough I will try a lighter shade in the Joli Rouge *Brilliant* product. I did not wear the lipstick long enough to review longevity of color, etc., and didn't experience any adverse effects from it. 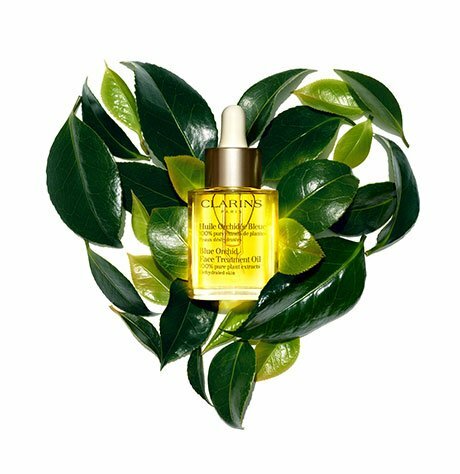 One recommendation for Clarins: parse out or bullet list product descriptions. Comparing paragraphs is not helpful. Also, Jolie Rouge Brilliant Lipstick states it "Keeps lips comfortable and perfectly plumped with Organic Marsh Samphire. ", while the Jolie Rouge Lipstick contains the same product but lacks the "perfectly plumped" description...so is the ingredient supposed to plump lips? Oh, and don't get confused...Currently, the tabs on the windows for the two different types of lipstick are both titled "Jolie Rouge *Brilliant* Lipstick" although the product pages are specific. Thank you. Rated 5 out of 5 by AmySk from Why did they discontinue 708 - Desert Rose? I absolutely love this lipstick. It moisturizes, plumps your lips and stays on for a good amount of time. However, I don't understand why Clarins discontinued the color #708 Desert Rose? This was the perfect color for very fair skin - it didn't look too pale or pink. I've been searching for a replacement and can't find it. Any suggestions? Rated 5 out of 5 by happylife from wonderful and nice shade I bought the spicy cinnamon. Love the color on me. Make my lips hydrated the whole day. Not drying at all. Bought another one for my purse! Rated 5 out of 5 by Sozol from Great color The color is great for me.the lipstick goes on smooth,no funny taste like some other brands have.clarins is the best,I have used their products for 30 years. Just started to order on line.nice case for the lipstick even has a lock on the side of it to prevent opening in your purse. I have a similar color I bought years ago number 17,a ginger color,similar to what I just purchased,it's almost out.Please bring that color back Clarins,I would order enough of it to last me till I died.thanks for a great product. Rated 5 out of 5 by Rrmay from Great lipstick! I received this lipstick as a sample and was delighted to find that it does not transfer to my teeth, as so many lipsticks do. It goes on smooth and immediately stays put!! Thank you for this formula.